It seems like I could keep posting photos from Paris forever (but I'm sure you're all sick of them by now). I'd like to dedicate this post to the little moments that make a special trip.. well, special. First, is this photo. I'm not sure if I mentioned this, but Vanessa's flat is on the fifth floor of her apartment building. No elevators, and a lot of spiral stairs. 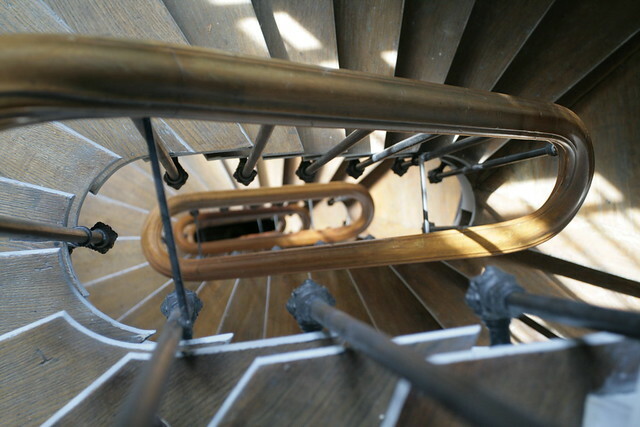 I love spiral stairs, and I loved that these greeted me every morning (especially since I was going down, not up), and the way the soft light hit them. To be honest, I don't remember where this was taken or why I thought this street was important. More than anything, I think I chose this because of the sign. 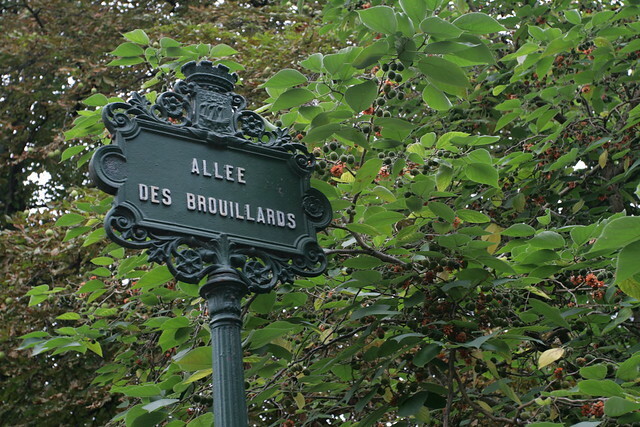 I loved the ornate borders and the fact that it was so different than ordinary street signs. Elegant, even. Elegant street signs? Yup, Paris will do that. As long as I'm being honest, I didn't eat here. 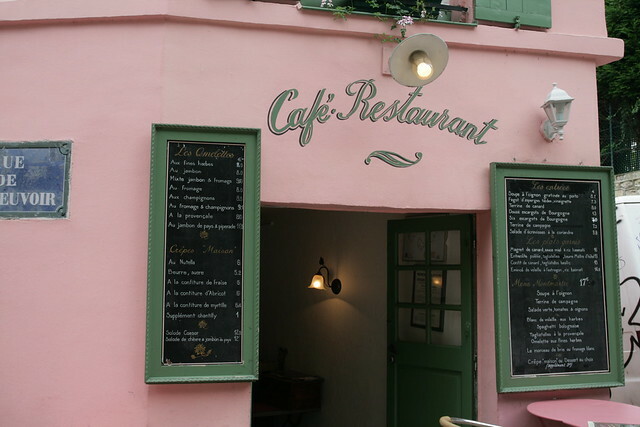 But I loved that it was bright pink with green shutters (perhaps reminiscent of watermelon)? These aren't the colors you ordinarily see around Paris, but in the Old Town the colors were plentiful. They reminded me of Santa Cruz. Ahh... le tour eiffel. Why is it so difficult not to gush about this? 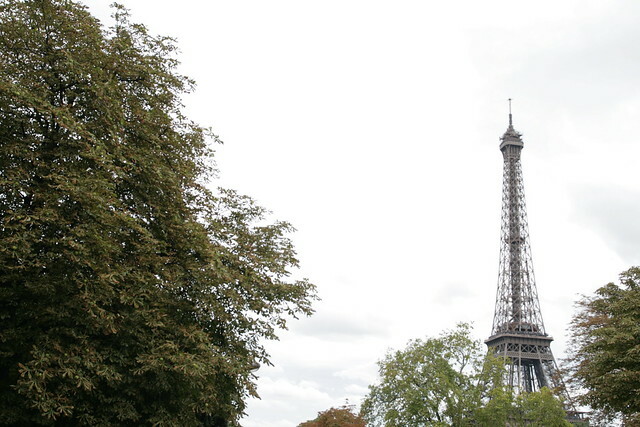 Every time the tower peeked out from behind a tree, or I didn't realize I'd be seeing it (like on the bridge between the Ternes and Charles de Gaulle Étoile on Metro Line 2), it just made me happier. One of the things I miss most about Europe is all of the fruit stands. Fresh fruit everywhere. 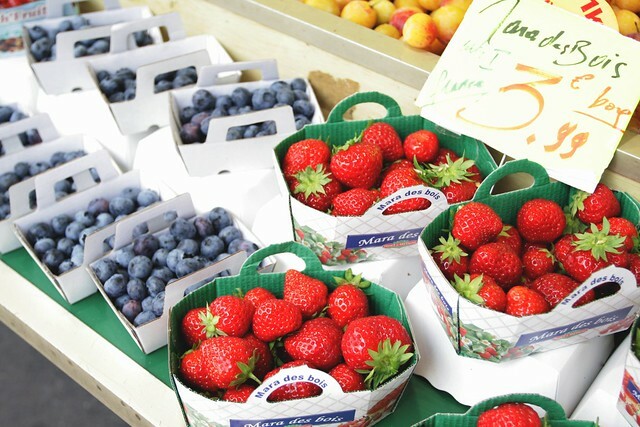 Sure, we have our famers' markets but in Europe it was so typical to pass by a dozen fresh fruit displays in one day. It was perfect. 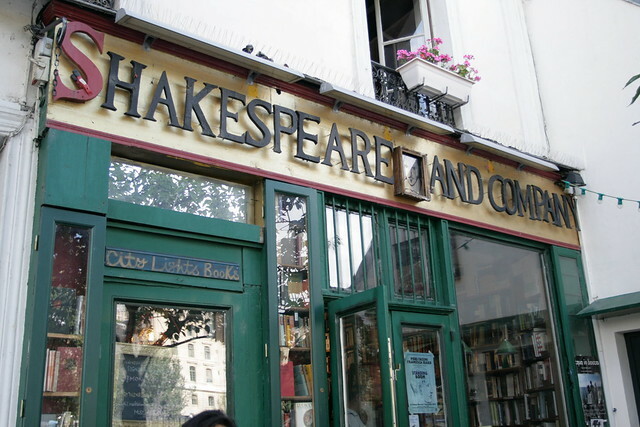 Bookstores are one of my favorite places to be, and being at this particularly well-stocked and very famous one, was lovely. Somehow, when David and I were in Paris last year, we missed this. Looking up at the infinitely tall arc bathed in golden hour light was an amazing way to see it for the first time. I never expected it to be so enormous, but even just looking at these photos (and comparing it to the cars!) it's such an incredible landmark. 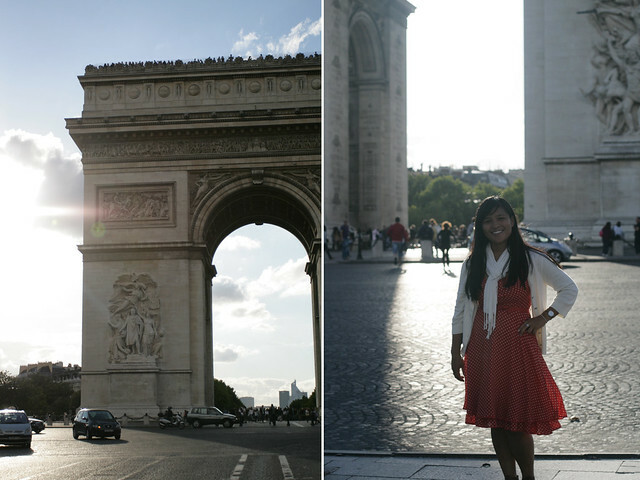 And, just behind the Arc de Triomphe, the rain had just stopped and the sun had returned. 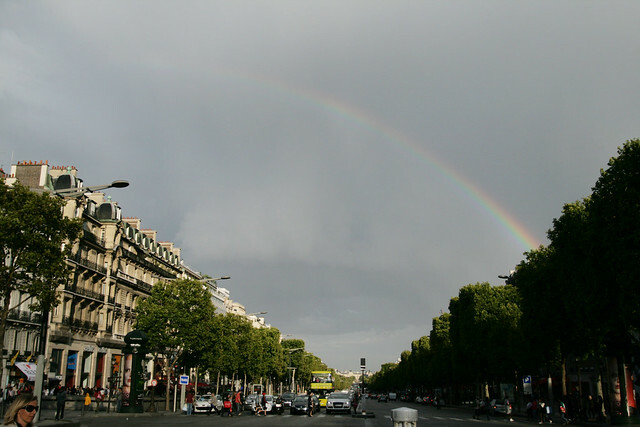 This was my day of on-and-off rain, and a rainbow over the Champs Elysees at the end of the day was such a serendipitous way to commemorate my time in beautiful Paris.